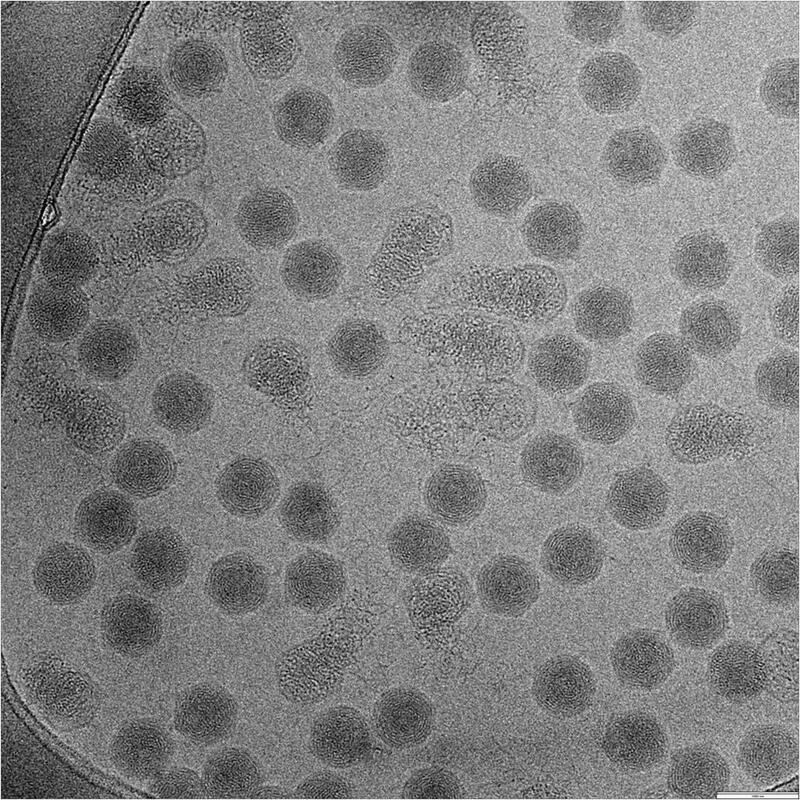 Cryo-EM images of T7 phage | Gatan, Inc. Grid was prepared using Cryoplunge™ 3 instrument. Image was recorded at 300 keV using 626 liquid nitrogen cryo-transfer holder.